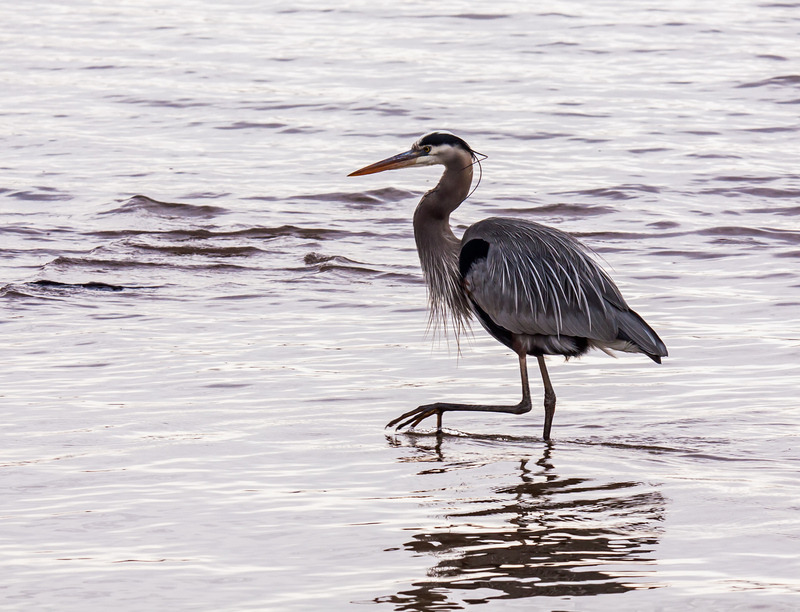 I love the delicate and deliberate way that Great Blue Herons (Ardea herodias) place their large feet when walking in shallow water, like this heron that I spotted on Monday at Occoquan Bay National Wildlife Refuge. Nice Mike! They are fun to photograph and they fill the frame more than the smaller birds!! Nice capture of of the foot-up pose, Mike! I like how this heron is shaggy looking with the breeding plumage, too.